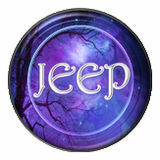 Thank you for visiting the Journal of Exceptional Experiences and Psychology (JEEP) ISSUU page. We are an online, international journal that caters to both the academic community and society at large on the topic of exceptional (aka, subjectively anomalous) experiences. Exceptional psychology encourages an experiential and therapeutic understanding of exceptional experiences. In this regard, it mostly comes from a phenomenological stand point, in that it is not so much concerned with experimental proof (although experiment-oriented research has importance), but is focused on how the experience has affected the person. The Journal of Exceptional Experiences and Psychology is a double-blind, peer-referred open access (OJS) online journal.